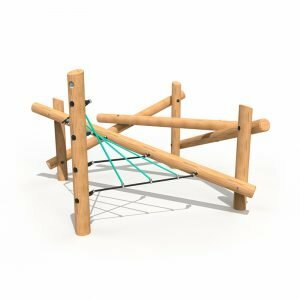 Inspired by web like structures, TANGLED is part of our wooden playground equipment range and is proving to be very popular with schools throughout the country. Ever since Tangled was introduced the whole range has been an instant success with schools nationwide. We have a range of sizes available catering for EYFS all the way through to KS2. 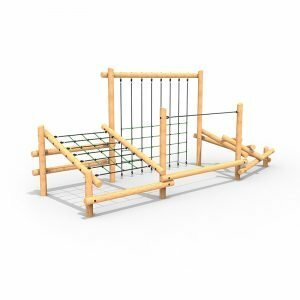 If you are looking for exciting wooden climbing equipment for your children, look no further. Our wooden playground equipment is manufactured from the highest quality material. All the timbers selected for this range are pressure treated enabled us to offer long term guarantees. TANGLED will require some playground flooring to cater for the critical fall height requirements. We have a selection available that you can read more about under the playground flooring category of our website. Recommended playground surfacing would be artificial grass, rubber mulch or wetpour. The Tangled Funnel Web will help to develop a child’s confidence and imagination by taking away your usual start and end point of playground climbing equipment. The Funnel Web is perfect for schools with younger children and smaller space, children will instantly want to climb on this piece of playground equipment and discover new ways of passing over it. The Tangled Lynx frame is an evolution of the Funnel Web, but has a few extra parts that make this a challenge for children that have little to intermediate experience with the movements used in climbing. Perfect for developing a child’s gross motor skills, the Lynx frame will develop their balance, coordination and perception of both distance and heights. The Tangled Orb Weaver has been designed to offer children with all climbing abilities a challenge that will keep them entertained for hours. Due to the size of the Orb Weaver it has so many different entrance and exit points that children will be able to develop their gross motor skills and confidence by choosing their own route on the climbing frame. The Black Widow is our second largest climbing frame that takes all the elements of the smaller ones in the Tangled range and puts them all together to create a great piece of equipment for schools that have the space. 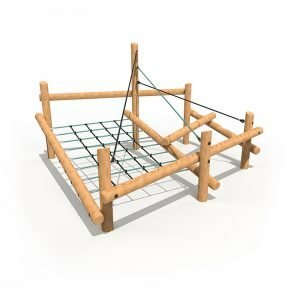 It creates the opportunity for children to climb from ropes overhead, crawl along rope nets underneath them and balance along the beams around the sides of the frame. 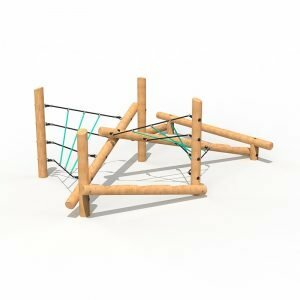 The Tangled Tarantula frame is the ultimate climbing experience that offers children everything to help them develop into confident climbers. 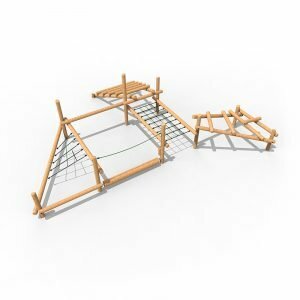 Children can start off on the lower beams and nets, gaining climbing experience before feeling confident to tackle the more challenging parts of this structure. 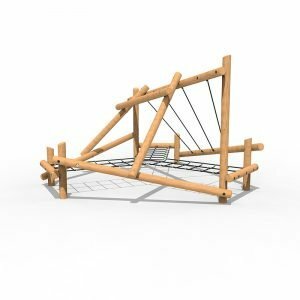 The Tangled Wolf frame is a lower-level and more cost effective version of our popular Tarantula climbing frame which offers children everything to help them develop into confident climbers. 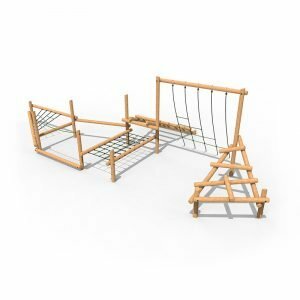 The Tangled Nursery Web climbing frame will be a popular and exciting challenge for your pupils and be a real feature within your playground area. 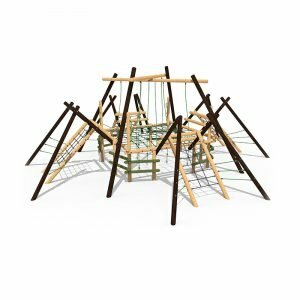 The Tangled Cobweb climbing frame will be a popular and exciting challenge for your pupils and be a real feature within your playground area.